A Halifax researcher is busting a myth that people who live in city centres have smaller carbon footprints than those who live outside of the downtown core. A Halifax researcher is busting a myth that people who live in city centres have smaller ecological footprints than those who live outside of the downtown core. 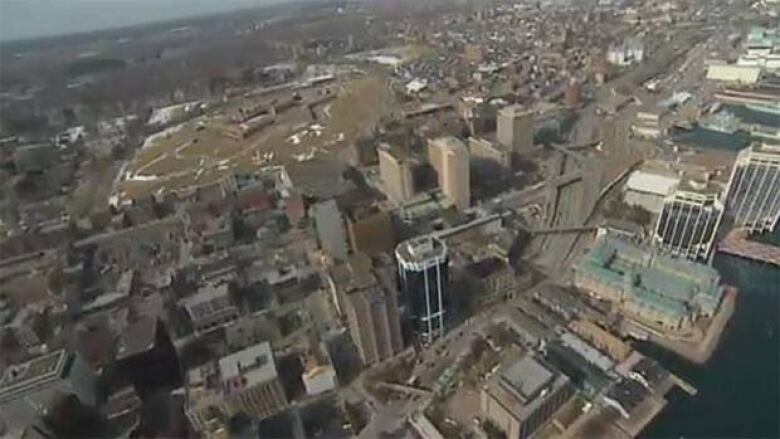 Jeff Wilson, who recently graduated from a Dalhousie PhD program researching ecological economics, said he has discovered that people who live in the downtown area of Halifax do not necessarily have smaller carbon footprints than others in the Halifax region. Wilson said emissions are roughly the same for people who live in the suburbs and downtown. He said that’s due, in part, to the fuels used in Nova Scotia. "Home heating and our electricity has a high carbon intensity," he said. "So if you're in another jurisdiction, for example Quebec where they use hydro and natural gas, it would be much lower. What we’re seeing is that the shelter dominates the overall greenhouse gas emissions — it’s about 78 per cent — whereas that spread between shelter and transportation would be different in a different jurisdiction." Wilson finds that 78 per cent of carbon emissions in the Halifax region are related to homes — three times the amount from vehicles. He also said part of the reason for the higher that expected carbon footprint in the core is that Halifax is not as dense as other cities, where assumptions about people living outside if the downtown core tend to have higher carbon footprints may hold true. Wilson said ecological footprints for people in suburbs and the downtown are about the same, with pollution from extra travel offset by smaller homes. He also said business parks located outside of the city centre provide jobs and services that may not be present downtown. "There’s often an assumption that in the downtown core, it’s a greater density so you have smaller square footage per person and in fact what we found is that the square footage is very similar between the suburbs and the downtown. And if you look at it at a per person basis, it’s less. Again as you move further out, the shelter size tends to be smaller. We often assume that houses get bigger as you move into the suburbs but clearly that's not the case for HRM," he said. Wilson said there are preconceptions that commuting greatly increases a person's carbon footprint but he said the increase in transportation emissions is not as dramatic as people might think.